Our sweeper of choice for community associations is the Tymco 600. 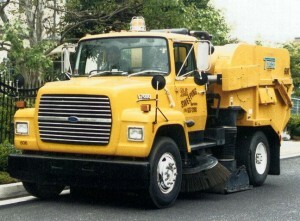 This full size street sweeper is used by many cities in Southern California and around the world. 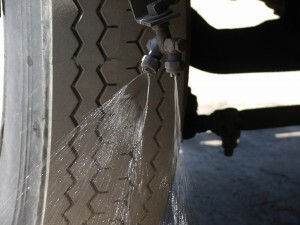 Tymcos use a “Regenerative Air” process to sweep streets. These street sweepers use a highly focused, 250 mph blast of air to move debris from the street to its six cubic yard hopper. And because of the regenerative air system, it does this virtually dust free. For the small amount of dust that the regenerative system can’t handle, our trucks have extensive water systems to knock it down. That means your neighborhood’s air quality stays in top shape while having its streets swept. All steel gutter brooms move the debris away from the gutter so it can be picked up. Dry debris is picked up effortlessly. 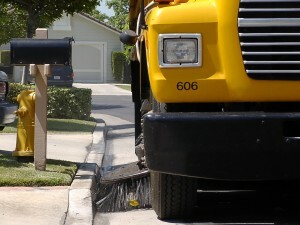 Wet debris & mud cause problems for all sweepers.